Training FFA members for the Food Science and Technology CDE? 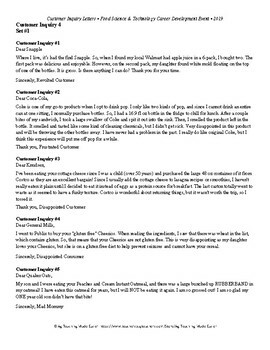 Need example customer complaint letters for your students to work out on? Look no further. 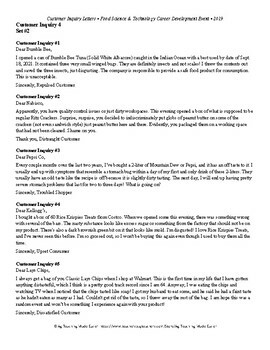 This first packet of customer complaint letters contains two sets with five letters each and one more sets with three letters (13 total letters). The letters were created using the guidelines from the National FFA Organization's rules for this practicum. There are keys for each set, but they may be disputed by the instructor based on their interpretation of the letter. Example: quality vs. safety or biological vs. chemical vs. physical.